At present, most of the people are highly interested in getting second-hand vehicles because of numerous reasons. Before you consider buying the vehicle, it is quite essential to obtain proper guidance from industry experts. Nspectacar is considered to be the ideal place for availing car inspection in best possible manner. The experts in the industry are committed to provide high-class services for the customers. Other than that, the professionals offer top class inspections every time. 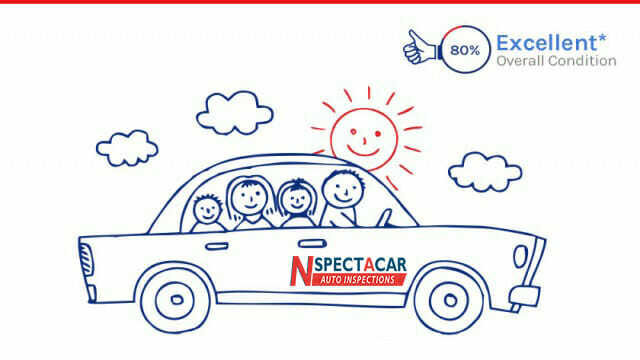 The Nspectacar usually concentrates on the needs and requirements of the customers and hence is highly dedicated to provide a wide range of inspection services by covering everything associated with second-hand vehicles. They ensure to offer an honest report for the customers in any situation. The team of expert inspectors has the extensive capability to perform various types of inspection tasks and also provide needed advice regarding buying the vehicle. The expert inspectors assure to create suitable inspection report as well as other useful documents related to the used vehicle. Everything will be carried out by the professional inspectors and hence they will complete the inspection process in less time. Obtaining the detailed report from an expert will help the customer to take proper decision. The inspection report is created quickly and it aids in taking an appropriate decision regarding whether to buy the vehicle or not. The report also ensures that each part of the vehicle functions well and seems to be quite effective throughout your drive. The report offered by the Nspectacar is fully based upon the real conditions of the used vehicle and there is no false information associated with it. When you want to avail the car inspection service, Nspectacar is considered to be the best option. The inspectors will check everything ranging from transmission, batteries, tires, and brakes to make sure that the vehicle is completely safe and durable. The main reason for availing pre-inspection service is that you can able to identify the faults associated with the vehicle in best possible manner. The auto inspection service will inform you about everything which goes on with the car so you can take appropriate action to protect and preserve the vehicle. At Nspectacar, the experts offer best pre-purchase auto inspection service by using well-trained professionals who have an eye on spot defects and damages. Nspectacar is the leading service provider in terms of auto inspection. They ensure to get your vehicle inspected at an affordable rate without taking much time. They offer 100% genuine inspection services as well as generate a detailed and complete vehicle report to assist you in understanding all the faults easily. The friendly mechanics and experienced inspectors will offer the best service for the money spent. The trained professionals will treat your car with the utmost care and preference. It is a trusted fact that Nspectacar reports don’t lie in any situation so you can possibly get their service without any hesitation. The inspectors are customer-friendly to provide good inspection services in a reliable manner.